For centuries, every business interaction we had involved people. Way back in ancient Greece, citizens would haggle in the agora over the price of rice; and as recently as the 20th century, if you wanted to order something out of a magazine, you would call up and chat with someone on the phone. The internet changed all that. Now it's insanely easy to buy things without ever interacting with another person. On the one hand, this is a game-changer—businesses can scale up more easily than ever because so many of their operations are automated. On the other hand, it's a massive missed opportunity. We are all wired to make decisions based on our relationships with other people. If your customer never interacts with a person, you miss the opportunity to connect on a deeper level, which can be the difference between asking that critical question or giving your product one more go, which would bring them to the aha moment and turn them into a customer. Thankfully, advancements in technology haven't just streamlined the purchasing process—they've also made it extremely easy to put humans back into online processes. Over the last ten years running Wistia, I've found that the place where you most need humans in technology is onboarding. It's so easy to focus on the product, but it's the connection to you, your company, and values, that will get someone to take the time to understand and try something truly new. Onboarding isn't about teaching your customer how to use your product: it's about getting them to that aha moment where they realize that it fits their exact needs. It's about fostering a human connection, creating genuine warmth, and bringing them into the fold. We started using videos in our onboarding because we knew from experience how powerful videos could be in bringing the human element back into SaaS. In using onboarding videos to connect with our customers, provide self-serve support, and make better, data-informed decisions, we've found simple step-by-step videos to be one of the most powerful tools we have in our toolbox. With the internet now a permanent fixture in our lives, countless SaaS products are just a click away. This is great for consumers, but it can be dangerous for you: if customers see your company as just another impersonal icon in a see of software options, they won't be motivated at all to keep using your product over time. When we subscribe to or buy products without interacting with people, we don't develop emotional connections with the product and business. This makes it harder to build brand loyalty. And if customers aren't loyal to your brand, you're more likely to acquire customers who don't stick around long-term. You can combat this by using onboarding videos to literally put humans back in the picture. People love seeing faces, so putting people in your videos is an easy way to get your customers engaged. Don't focus on showing off your company's product—focus on showing off your company's faces! 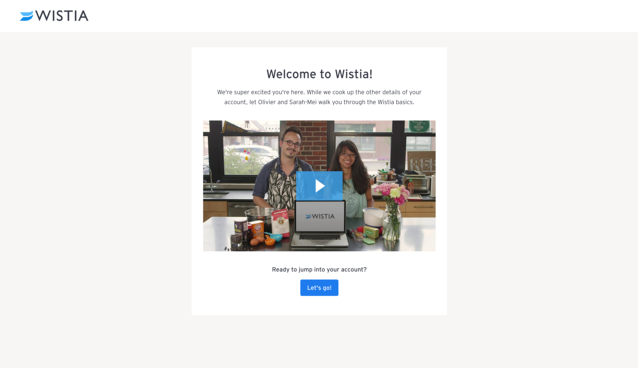 The first screen you see after signing up for Wistia is a video with two of our Customer Champions walking you through the main features of your new account (and making cookies!). Remember to let yourself be authentic as you introduce your team to your customers. People like to do business with people they can relate to. Instead of trying to project a sanitized, “professional” air, give your team an opportunity to show your customers the real culture of the company. 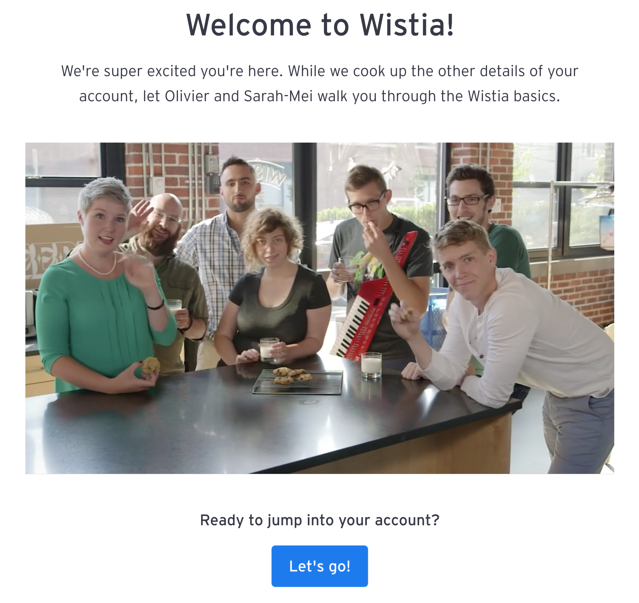 The whole Wistia team comes onscreen during our onboarding video to tell the customer how excited we are about them signing up. A warm, human welcome goes a long way towards encouraging customers to keep using your service. 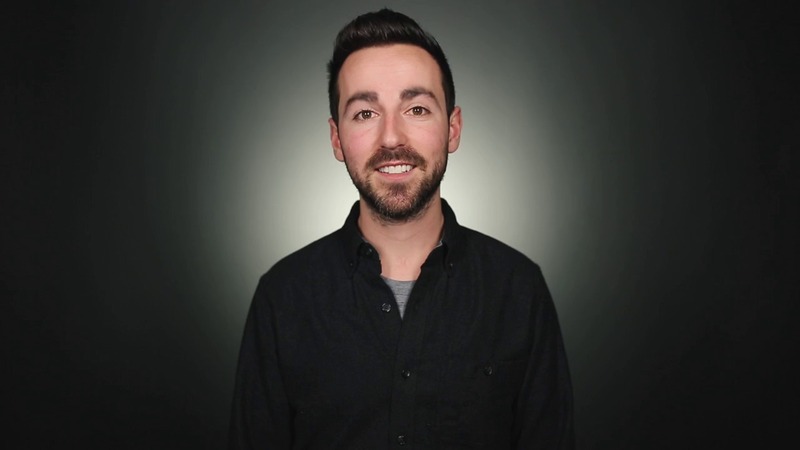 Adding authentic video into your onboarding process is a fast, super effective way to connect with your customers. Email new customers a quick, personalized welcome video. Software like Soapbox can generate that video in just a couple of minutes. Include stories and context in your onboarding videos. Take the time to add the color to your onboarding videos that helps people understand why features exist and what the benefits will be down the road. Small changes like these can push your customers from seeing your company as an abstract, corporate entity, to seeing it as a group of real people. This fosters trust, and trust can bring users to your aha moment and make your onboarding process much better at retaining customers in the long-run. The internet hasn't just changed the purchasing process by phasing out people—it's also made it way faster. You can sign up for a trial and start using just about any SaaS product out there within a matter of seconds. This easy accessibility creates a different kind of anxiety for many users, however: because customers have no loyalty to companies, they also worry that companies have no loyalty to them. Customers are increasingly worried that companies won't be there to help them use their purchased products in the future. If the company vanishes into the ether, the customer will be left completely unsupported. This is why it's crucial that part of your onboarding process is highlighting the team of people dedicated to helping new customers with their support issues. It doesn't matter how much of your product you show off during onboarding if your customer doesn't feel confident enough in the company to use it regularly. Our very first welcome video accomplishes this by ending with a friendly shot of our team of Customer Champions saying hi. People also learn better when other people are doing the teaching—not a wall of text. You can follow through on the promise of support by adding more human-centric support videos on individual help pages and linking to them at the appropriate places throughout your onboarding process. Emphasizing human support throughout onboarding will reassure customers that it's a safe bet to use your product for the long-haul. Your goal here should be to onboard customers to your core features (think aha moment) while also making them aware of the broader support network dedicated to helping them master every one of your product's features. Identify your customers' three most common, basic support requests, and answer these as part of your basic onboarding video series. For more technical support questions, dedicate a unique support page to each issue,and provide a cleanly organized, searchable way for your customers to find the additional help they need. After your onboarding demos, link your customers to more resources (ideally, your human support staff) to ensure they feel confident in your product before they set out implementing it on their own. If you structure support well in your onboarding process, your customers will be confident with your product, without being overwhelmed by an information dump of features and troubleshooting. This is the perfect balance to make them evangelists for your product in the long-run. Running your business online makes it easy to capture all sorts of data about your customers and how they use your product. However, this abundance of data can be dangerous—it's easy to get fixated on little tweaks that produce measurable increases to metrics like clickthrough rate or time on page. When you get obsessed with maximizing these kinds of short-term metrics, you can lose sight of the fuller picture of customer success. Stats like free-to-paid trial conversions or decreased basic support requests are harder to track because they change over a longer timeframe, but they're the best way to aim in the right direction with your onboarding. How can you plan your strategy for improving onboarding? One great way to do this is to keep iterating to find the very best way to engage your customers during onboarding. Just because one onboarding video is working well, doesn't mean that another one won't work even better: keep trying new things, and then leverage metrics to find out when your efforts are paying off because users are finding your aha moment. We tried this out at Wistia recently, and it paid off big time. When customers first start using Wistia's video-hosting service, they don't always have a video to upload—but we want to onboard them by showing them all the cool ways they can use our software to customize a video. So, we provide a “loaner” video that users can customize if they don't have a video of their own on hand. 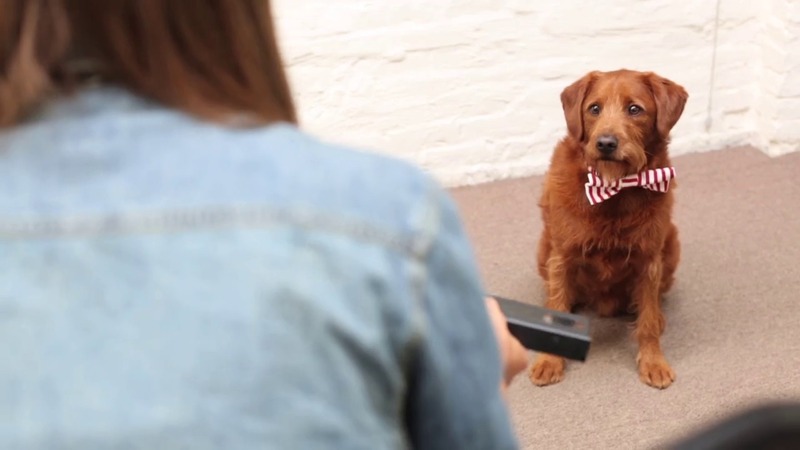 The loaner video was originally just a cute video of Lenny, our dog and unofficial mascot, but then our analytics showed us that a lot of new users were watching the full loaner video. If we had been focused on metrics alone, we would have been thrilled that people were watching the video and called it a day. Instead, we saw a strategic opportunity to better introduce ourselves to customers using the loaner video. We decided to A/B test using Lenny as the loaner video vs. using this demo-style video where Chris Lavigne introduces users to all the customization features of our video player. This video was an attempt to get people acquainted with our video player even more immediately, finding a way to make the loaner video contribute to customer success even more directly. Why just entertain new users with Lenny, when we could entertain them with Chris L. and introduce them to our product at the same time? We learned that this new video succeeded across the board: it increased conversion from free trials, decreased the frequency of basic support requests, and increased engagement with our product (as measured by the number of customers who completed a workflow). Metrics can easily swamp your vision for your company and product, but that shouldn't scare you away from them. Establish a data-informed, not data-driven, strategy. Pick a higher-level goal — “I will use onboarding to introduce myself to my customers”—and then use metrics to measure your creative efforts to implement that strategy. A/B test the churn rates of customers who receive a personalized welcome video. 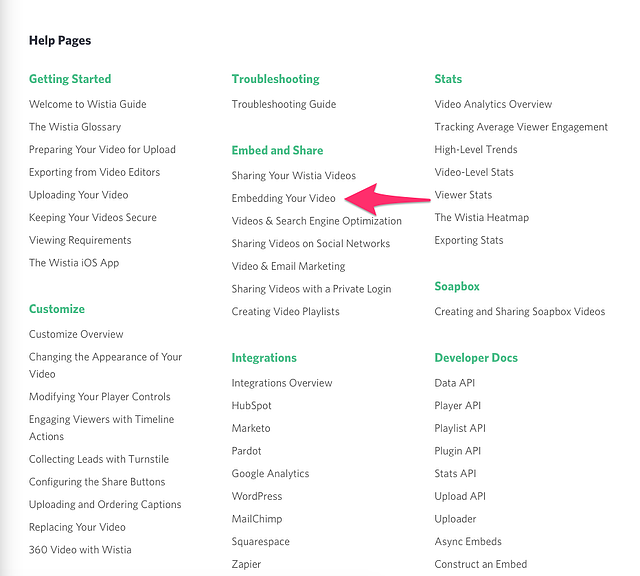 If you use Wistia for video hosting, use our analytics to see how many users fully watch an onboarding video with personal anecdotes from employees about the product, versus a video focused solely on demoing the product. If many users stop watching one of your videos at a certain point, see how you can make that specific part of your video more engaging. A/B test the conversion rates of free-trial users who are sent a personalized video message asking how their experience with the product can be improved. In the right context, metrics can be incredibly powerful. Just remember that your end-goal is getting users familiar with yourself and your product, not increasing one metric or another. Running a company in the digital age can be intimidating. Sure, you can reach huge audiences efficiently, but it's true what people say: the internet can eliminate real, human interaction. That can have direct implications to users missing your aha moment, and for the long-run success of onboarding customers to your product. Thankfully, just because the internet can be impersonal in this way doesn't mean it has to be. It's so easy to make videos now, and adding video content into your onboarding process can put human interaction front-and-center, while still capturing all the benefits of scale that the internet provides. The key to success with video onboarding is using it to introduce your customer to the people who care about her success with your product. Don't be satisfied with your first attempt at a welcome or support video: get creative, iterate, and measure how well your efforts are paying off. Before long, videos can make you an onboarding master.